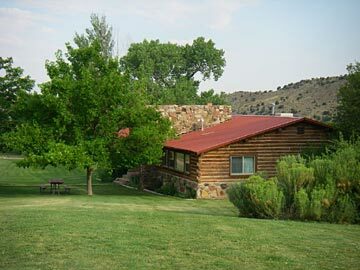 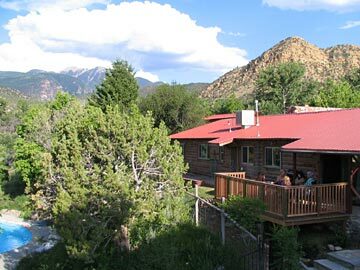 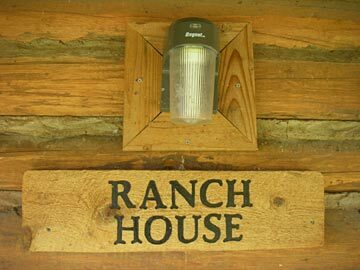 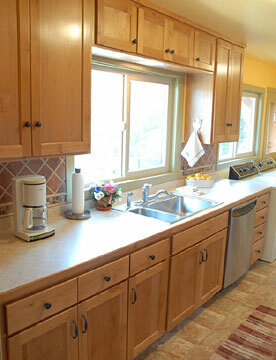 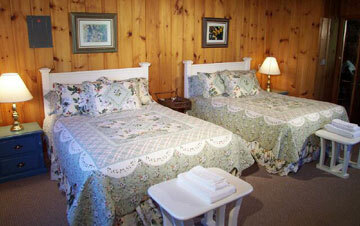 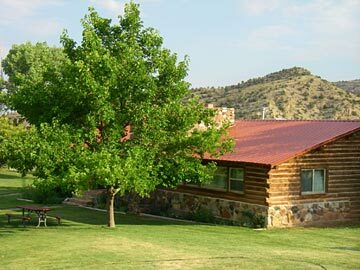 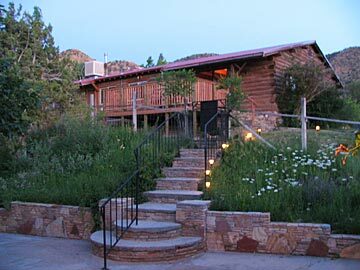 The Ranch House, our most spacious cabin is great for groups and large families or as a romantic getaway for two. 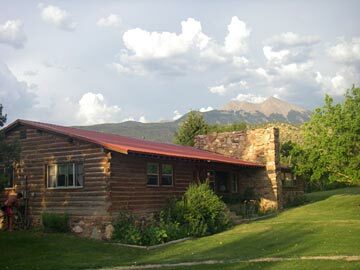 It is a 'rustic luxury' log cabin, newly renovated, with a single level floor plan. 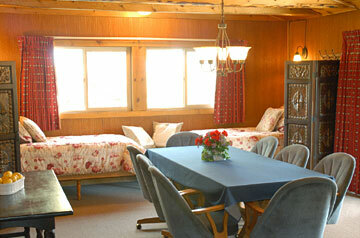 Just steps away from the hot tub, sauna and seasonal pool. 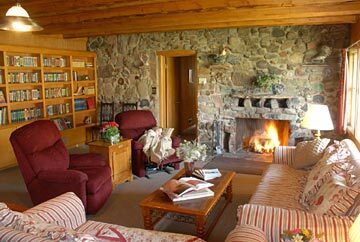 Living room has large stone fireplace, a library wall, and a view of the apple orchard. 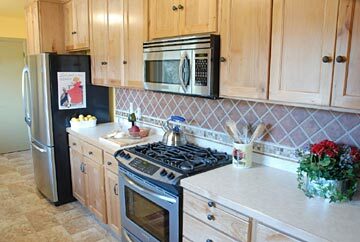 Large dining room and fully equipped kitchen with washer/dryer. 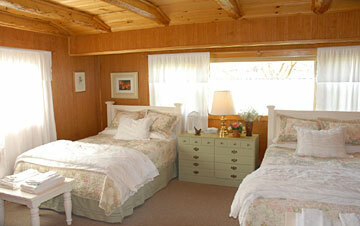 Three bedrooms; master suite with king bed, two other bedrooms with two queen beds each, and two single daybeds in the dining area. 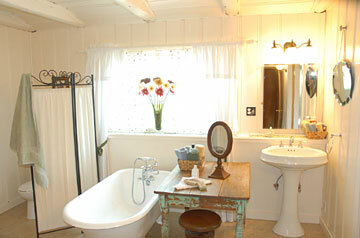 Ensuite bathroom with claw-foot tub, second bathroom with shower and jet tub and third half bath with sink and toilet.